October is National Cookbook Month! 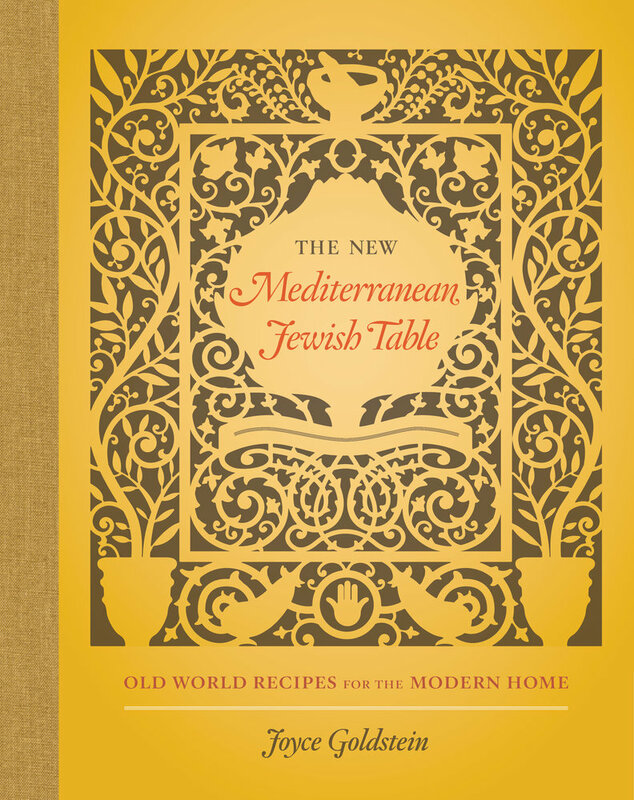 Come back for a new recipe from The New Mediterranean Jewish Table each Wednesday, and click here to save 30% on some of our award-winning cookbooks. This recipe, which is sometimes called tajine del sabana, is a cross between two tagine recipes in La cuisine juive du Maroc de mère en fille by Maguy Kakon. 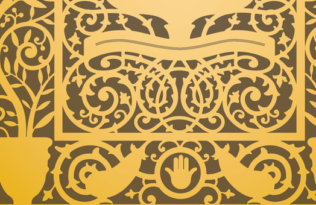 Similar dishes are found on the Rosh Hashanah table in Fez, Meknes, and Tangier. Almost any combination of vegetables will work for this fragrant stew, which is typically served with cous-cous. It includes both potatoes and sweet potatoes and the classic addition of preserved lemon and olives, which add salt and tang. If you like, 1 to 1/2 pounds butternut squash or pumpkin, peeled and cut into 3-inch chunks, can be used in place of the sweet potatoes. Although not authentic, I sometimes add 1/2 cup plumped raisins for a note of sweetness. Warm the oil in a large stew pot over medium heat. Add the onions with a pinch of salt and cook, stirring occasionally, until translucent and tender, 8 to 10 minutes. Add the garlic, paprika, turmeric, ginger, pepper flakes, tomatoes, and half of the cilantro and cook, stirring, for a few minutes to bloom the spices. Pour in the broth, stir well, raise the heat to high, and bring to a boil. Turn down the heat to low, cover, and simmer for 30 minutes. Add the carrots, re-cover, and cook for 15 minutes. Add the turnips, potatoes, and sweet potatoes and simmer for 10 minutes longer. Add the zucchini, chickpeas, preserved lemon, olives, and chiles and simmer until all of the vegetables are tender, about 15 minutes longer. Taste and adjust the seasoning with salt and pepper and add the remaining cilantro. Serve hot.